TINCan robots are the sweetest and smartest robots ever built! Play with seven cute robots in an empty toy factory. 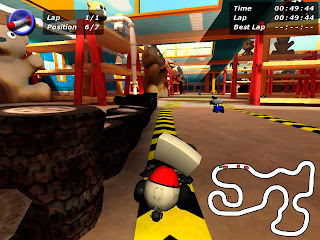 Help them race each other around eight zippy tracks with fun bonuses and pitfalls. Each robot has unique skills and characteristics, and you might be surprised by their capabilities. Rockets, flame throwers, and magnets will certainly make a “dent” in the competition! 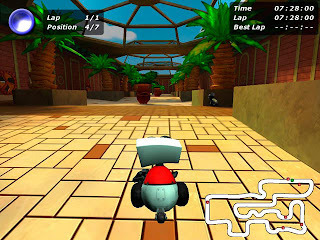 Race against other robots in classic competitions, or against the clock in time trials. Play with your friends on the same computer in split-screen mode. Zoom to the finish in TINcan Race!